Commitment is important if any kind of relationship is to have lasting value. When a group of people band together and commit themselves to a common goal the results can be simply remarkable. We see this in music quite often, whether it is within an orchestra or a chamber ensemble. The successful string quartet, for example, consists of four musicians who have formed an alliance in order to achieve a common goal that all four individuals have realized make up the center of their collective being. Yes, it is a very emotional commitment, indeed. 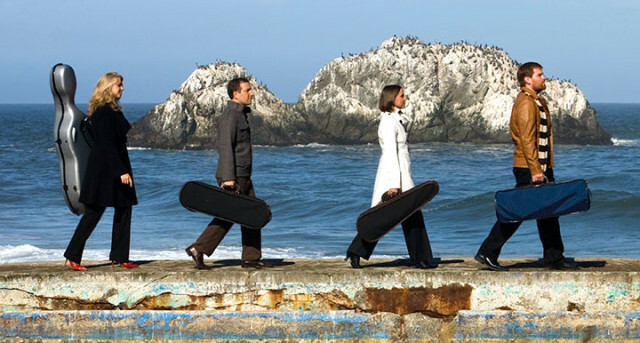 For it is the emotional commitment to excellence that results in such ensembles as San Francisco’s Cypress String Quartet. For the past twenty years violinists Cecily Ward and Tom Stone, violist Ethan Filner and cellist Jennifer Kloetzel have set new standards for community outreach with their neighborhood concerts as well as the commissioning of new works from leading contemporary composers in their numerous “Call and Response” projects. And with a repertoire of 18th and 19th century music from composers such as Haydn, Mozart, Beethoven, Schubert, Brahms and Dvorak to 20th and 21st century composers as Schulhoff, Griffes, Lees, Higdon, Puts and others, the Cypress String Quartet has built a reputation on both sides of the Atlantic as one of this generation’s finest American ensembles. But, the time has now come for the individual members of the CSQ to finally pursue personal paths that has brought them to the necessary but difficult decision to disband at the end of June 2016. As part of the final farewell season the CSQ concentrated on one particular portion of their emotional and artistic center…that being the sixteen Beethoven String Quartets. They performed the complete cycle in an historic series of European concerts last Fall. They also wrapped up their complete Beethoven recordings with the just released set of the six Op. 18 Early Quartets on the Avie label. And as of this writing (early May 2016) the CSQ is giving a big “Thank You” to their host city of San Francisco by presenting a two week series of free neighborhood concerts throughout the City presenting all sixteen of Beethoven’s string quartets. From St. Anthony’s Dining Room for a lunchtime group of citizens in need…to the City Hall Rotunda…to a city library…to the site of the old Sutra Bath ruins…to Mission Dolores Park near where the city of San Francisco was founded, and many other venues encompassing the many districts of the City. This is truly yet another historic accomplishment by the Cypress String Quartet. They may be disbanding, but the memory of the CSQ’s commitment to community and artistic excellence will live on in the memories of those who attended their live performances and listen to their masterful recordings. 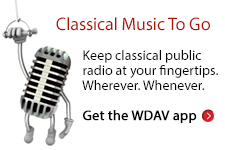 WDAV will certainly keep the CSQ’s mission alive with airings of their recordings for many years to come. If you plan on being in San Francisco between now and May 19th do try to catch at least one of their free Beethoven concerts.